Lord Clonbrony and his ambitious, worldy wife lead an extravagant social life in London on the proceeds of their estates in Ireland. Their son, Lord Colambre, refusing to marry the heiress arranged for him by his mother, decides instead to investigate, incognito, the management of the familyestates in Ireland. Appalled by the corruption, mismanagement, and poverty he discovers, he sets about finding a solution to his father's debts and the family's wilful indifference. 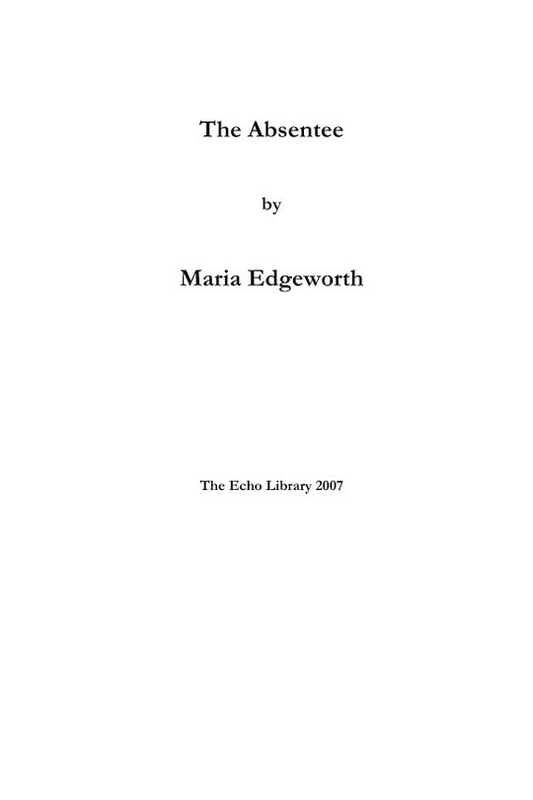 Maria Edgeworth's classic novel combines a fast-miving depiction of national manners with a brilliantly witty expose of the pernicious system of absentee landownership.